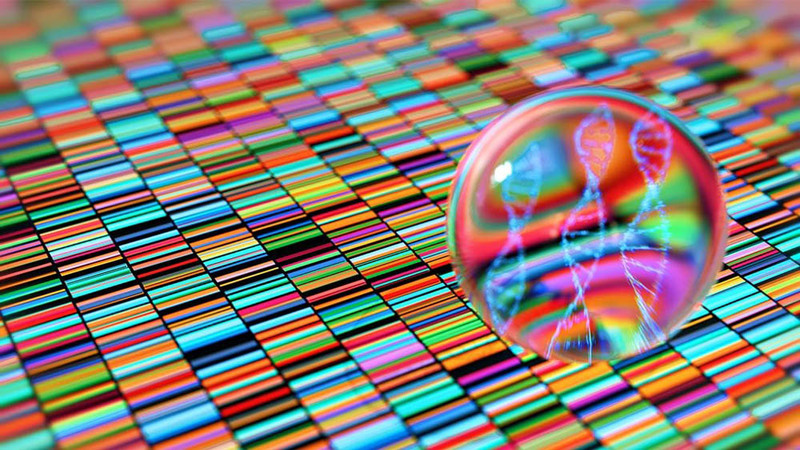 Last week, the gene editing world was hit by news the equivalent of a nuclear bomb. In a video on YouTube, Dr. Jiankui He at Southern University of Science and Technology in China revealed that the first CRISPR babies - a pair of twin girls named Nana and Lulu - had been born. Engineered to resist HIV infections, the girls were born perfectly normal and healthy, He said. On the surface, the news seemed like a technological breakthrough. The girls’ father had HIV, and by cutting out an immune-related gene, CCR5, He said in his impassioned video that the girls would never be susceptible to the danger and stigma of an HIV infection. The parents begged me to help them conceive healthy children, He said. They were carefully informed of the dangers and risks, and now, with two baby girls in his arms, the father feels he has a reason to live again. A brand-new, transformative technology was used for good. So why are scientists around the world outraged? Because the story above, one in which the therapeutic power of CRISPR was finally realized, is a fantasy. “Naïve” at best and “evil” and “fame-driven” at worst, He, as the founder of two gene sequencing biotech companies, flouted international guidelines and ethics and performed what amounts to human experimentation on children (and their future children) who cannot give consent. The story unfolded over the course of a week. On Sunday, MIT Tech Review broke the news that a rogue scientist in China engineered CRISPR babies that had been born. The news - although truly shocking to scientists and regulators - was met by some skepticism in that He’s claims may be false. After all, game-changing (and ethically challenged) experiments have been faked before. Monday, He’s video explaining the experiment was widely spread across the media, as were original consent documents (in Chinese) and trial registration information. Keen-eyed scientists soon pointed out that the trials weren’t registered until early November, long after the experiments were in motion. A CRISPR inventor, Dr. Feng Zhang at the Broad Institute of MIT and Harvard,called for a moratorium on the implantation of edited embryos. In China, over 120 scientists signed a joint letter (in Chinese) saying that “the experiments can only be described as ‘crazy’ as it’s directly on human beings,” with no less than six exclamation points. He then released his presentation slides and partial sequencing data for international scrutiny. The news got worse: both twins may have ended up as mosaics, in which only some cells were edited. If the twin’s immune system grew from unedited cells, they would still be susceptible to HIV infection. There’s more: CRISPR edited non-targeted sections of CCR5, introducing brand new mutations - or novel gene variants - into the gene pool. While He claimed that the edits were specific and harmless, they’re likely not. He then dropped another bombshell: at least one other pregnancy with a CRISPR-edited embryo was on its way. Thursday, China said that it has suspended He’s work, citing that it was unethical and a violation of Chinese law. Part of the global outrage came from how the experiments were performed. Make no mistake: CRISPR can fundamentally delete disease-causing mutations in embryos, allowing parents to have healthy children. It’s something scientists and ethicists have been carefully working towards - and something most Americans seem to support. But with great power comes great responsibility: although the technology to fundamentally change DNA in future generations - called “germline editing” - has been available for a few years, scientists have hesitated at growing any edited embryos to maturation. Why? Because it’s human lives - and the lives of their kids, and more broadly, the genetic vault of the human species - that is at risk. The technology, although promising, is simply not ready. Scientists are still arguing over whether a previous report in embryo editing (that was not implanted) worked as intended, and heatedly debating if CRISPR has a far higher risk of editing non-targeted genes than previously expected. He’s reported data - already extremely scarce - spurred another media firestorm by showing exactly why responsible scientists have not yet tried the experiment. One of the twins was a mosaic, in that the editing only “worked” to stop one copy of the CCR5 gene. She might very likely not have any protection against HIV. The team also found off-target effects but said they were “harmless” - but without strong supporting evidence. CCR5 has been linked to mental function before. In mice, deleting both copies resulted in enhanced memory, while other experiments have found that getting rid of the gene increases the chance of contracting life-threatening (and far more common) flu. Did He inadvertently enhance human cognition, which even he said wasn’t his goal and shouldn’t happen? Or did he subject two girls to a lifetime of infections and other yet unknown illnesses? Fine. So what if the technology isn’t quite ready yet? He reported in the conference that he had validated the technology in mice and monkeys before proceeding to humans, and the parents were willing to take the risk. Why not follow the parents’ wishes? He’s cited goal, to protect the children from their dad’s HIV infection, is invalid. For IVF, scientists wash out any HIV viruses from the sperm before inseminating an egg. Children born with a HIV-harboring father, who have their disease under control using drugs, are no more likely to contract the disease than those with perfectly healthy parents. It’s HIV-infected moms that transmit the virus down to the kids. And even if, somehow, the children are infected, we now have extremely powerful preventative measures and treatments for HIV. In other words, He’s experiment was unnecessary. He’s decision to implant the obviously mosaic embryo into the mother is also questionable. Why go through the risk when it is already obvious that the technology did not work? I will watch over the children for 18 years, He said at the conference. But how? Will he be financially responsible? What if one develops cancer from the treatment, a known danger? And what about the twins’ children, who may also have the edited gene? Finally, He’s preferred method of disseminating the news - via YouTube - was highly unorthodox. His work has not been peer-reviewed. Scientists don’t have access to the girls to validate his claims, and the little data already presented is cause for concern. Although one could argue that releasing the news into the public - rather than behind paywalls in academic journals - is more responsible, the fact is He has been incredibly dodgy in his experimental techniques and analyses. His claim that the twins did not harbor significant mutations is already under question, because the techniques he used simply cannot provide a complete answer (want to check out his data for yourself? Here are his presentation slides in English). Wielded correctly, CRISPR has the power to eliminate inherited diseases in generations for good. But He’s experiments may trigger a global reaction to ban CRISPR embryo editing, potentially depriving those who need it most. Even worse, one unapologetic rogue may encourage others, who dangle the potential of blue-eyed or other “desired” babies in front of wealthy, expectant parents, without mentioning that we are still far from being able to truly “enhance” complex traits such as intelligence. There’s historic precedent: just look at the unregulated stem cell clinics that have spread like wildfire. Without doubt, He has tarnished the reputation of Chinese scientists, who are already viewed as ethically lax. So perhaps it’s no wonder that China has now stopped all of He’s planned clinical trials, which involve editing the embryos of eight couples with an HIV-infected father. It’s now up to scientists, ethicists, and regulators to clean up the mess and refocus on the road ahead. The Pandora’s Box has been opened, and “lunatics” may try to edit genes that lead to longevity or intelligence, said one Chinese scientist on WeChat, but we can still - and need to - close it.